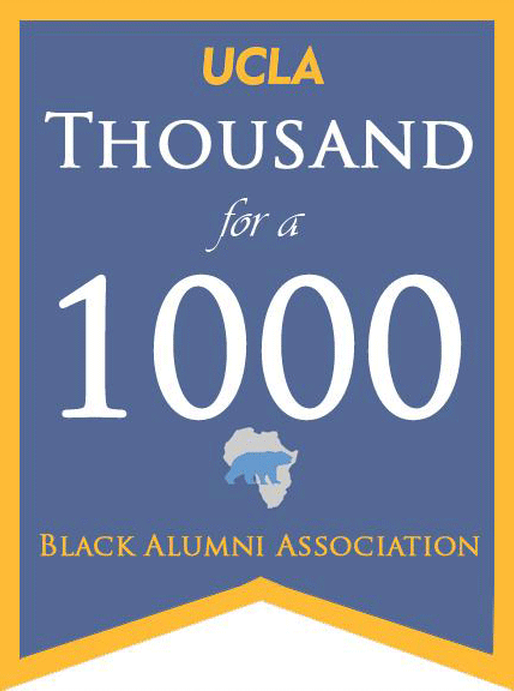 UCLA Black Alumni Association presents A Thousand for a 1000 Scholarship Drive. By bringing together a thousand people for a thousand dollars each, help us reach our goal of a million dollars for the UCLA Black Alumni Legacy Scholarship. The money raised for scholarships will allow us to reward our best and brightest African American students for their hard work– and help UCLA recruit the best scholars in the world. ﻿ Click the button below to join in the 1000 for 1000 campaign!